Sometimes, the more significant, powerful, or influential someone is, the less you know about him or her. There are some people of influence whose names most of us have never heard, and about whom we know almost nothing, yet they make decisions which affect millions of lives. 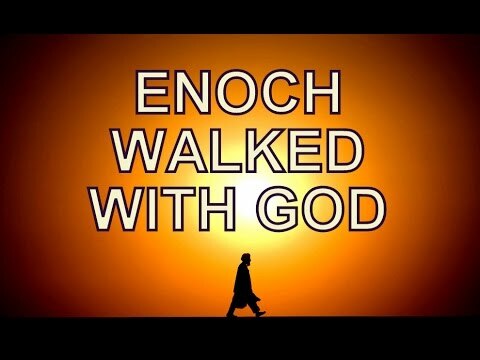 Enoch, is a Biblical character about whom we know hardly anything besides his age and genealogy; but we do know this -- that Enoch walked with God -- and then God took him. What an example! Is there anything greater that can be said about someone than, "He walked with God"? Enoch's life was eternally distinguished by this one characteristic: his personal relationship with the Lord. He somehow maintained a degree of divine fellowship that was so pleasing to God that He just transformed the man's earthly body and took him to glory without ever experiencing death; and this was long before the Holy Spirit was poured out on all flesh. But this ought to be the simple secret of the life of every believer: walk with Him, because the mystery that was hidden from mankind is now revealed to us through His Son – "Christ in you – the HOPE OF GLORY"; so that now, every truly born again soul can walk with the living God through His constantly indwelling presence. We need to realize the amazing opportunity we've been given. The simplicity of this truth cannot be overstated. The Lord Himself told Martha, "One thing is necessary"... intimacy with Him; a conscious choice to walk with God, to think about Him, to look at Him, to talk with Him, rest in Him, obey Him, care about him, serve Him, and love Him in a million ways. We are all guaranteed the resurrection that Enoch experienced because Jesus walked with God and totally pleased Him. 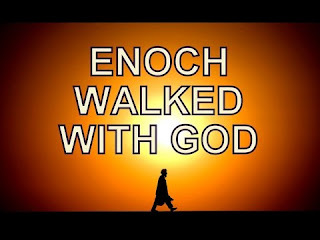 And we have the choice to follow His example of intimacy...just as Enoch did. Dear Lord, help us look for ways to walk intimately with You. Help our fellowship be pleasing to You. In the Name of Jesus, Amen.